Researchers are tirelessly searching for treatment options and SCI technology advancements that will give functionality back to paralyzed patients. 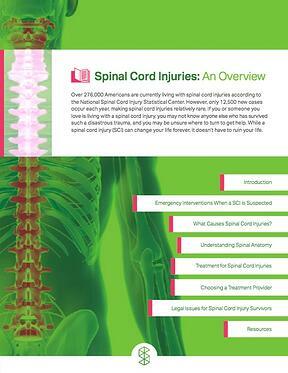 Spinal cord injuries are very serious injuries that can be life threatening. The first question patients typically have after a spinal cord injury is, “will I walk again?” Patients with spinal cord injuries have had few options for treating their condition as treatments to date have been limited. Surgical decompression of the spinal cord and surrounding nerves has been the go-to treatment of choice for spinal cord injury patients. Doctors also attempt to treat pain and inflammation with the use of nonsteroidal anti-inflammatory (NSAID) drugs. 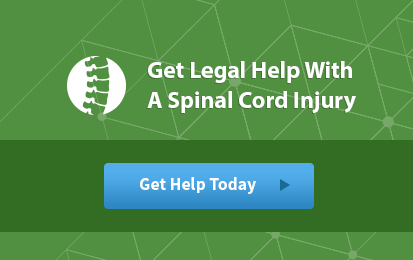 Neither of these treatments has recovered the neurologic deficit that spinal cord injury patients have as a result of the damage to the spinal cord. Researchers are tirelessly searching for treatment options and SCI technology advancements that will give functionality back to paralyzed patients. Treatments for survivors of traumatic brain and spinal cord injuries are constantly advancing with the technology available. One technology that is poised to revolutionize the field of Neurotherapy is virtual reality (VR). Some studies have shown that VR can “trick” the brain into believing that it is physically performing the actions being simulated in the VR environment. In healthy people, this can produce feelings of vertigo in VR settings featuring sheer cliffs or drops. In people with traumatic brain injuries, this can encourage the brain to stimulate neurological pathways that have been “turned off” following an injury. One of the leaders in the field of Virtual Reality Neurotherapy is Mieron. They have shared some more information about this exciting technology, how it works, and how you can contact them for information on the clinical trials here. Stem cells are blank cells, or undifferentiated cells, which are capable of transforming into specialized cell types. Stem cells are capable of self-renewal, or the ability to multiply while maintaining the ability to develop into other cells. Stem cell therapies have been studied for some time now. Neurons, however, have a limited ability to regenerate. This has researchers studying how they can effectively use stem cells in the treatment of spinal cord injuries. Researchers are still trying to understand the precise chemical signals that tell the stem cells what to do in order to create the proper growth and regeneration. Injection of bone marrow-derived stem cells into the cerebrospinal fluid is being studied to see if it will promote the proteins needed to grow nerves and increase nerve signals. Research is limited but is showing promising preclinical results in regenerating neuronal growth and a new connection between neurons. Promising results are coming from the use of functional electrical stimulation (FES). FES uses a computer and electrodes to give small bursts of electricity to paralyzed muscles. This is done to generate muscle contractions. Currently, FES is being used to try and restore function that was lost after a spinal cord injury. By stimulating paralyzed muscles, patients are experiencing improvement in hand movements, bladder and bowel control, and even potential for respiration without the use of a ventilator. Researchers are trying to advance this current system, which is showing promising results not only in spinal cord injuries, but for stroke patients as well. Brain-computer interfaces bypass nerve cells that have been damaged from a spinal cord injury. These devices, when implanted, may restore control of voluntary muscle movement to paralyzed muscles. Because patients with spinal cord injuries usually have normal brain function, researchers have been able to use the signals sent off by the brain to control a computer-assisted device. Hand and arm orthotics have been used with this device as a way to give hand function back to patients with paralysis. The ability to restore any amount of function in a paralyzed patient is a huge step in the patient having some normalcy in their life after spinal cord injury. Robots of all kinds are sweeping the market these days, and they are also seen in the medical field. Researchers have put together a new, exciting, and promising way for paralyzed patients to ambulate. The use of wearable robotic devices is giving patients the ability to walk again. Researchers believe that repetitive walking patterns may help the brain and spinal cord work together to re-route the signals lost due to spinal cord damage. These “exoskeletons” are rather bulky and heavy, and require assistance to use them. But patients with spinal cord injuries do not seem to mind, given they are able to walk again. Although these robots are currently used in physical therapy, spinal cord injury patients could soon see these become commercially available. Much more research is needed to make the use of exoskeletons safe for the patient, but these robotic devices have a promising future. Researchers are hard at work to find solutions for spinal cord injury patients. While there have been a lot of improvements in recent years, there is still not a complete cure for paralysis. SCI technology advancements are making huge strides toward this cure and only the future can tell what else is in store.